BEAUTIFULLY BUILT HOME BY MORHOME CUSTOM HOMES SITUATED IN A GATED, ACCESS CONTROLLED COMMUNITY THAT SITS ON 2 LOTS! AMAZINGLY WARM OPEN FLOOR PLAN CONCEPT WITH MANY STATELY TOUCHES INCLUDING EUROPEAN ARCHITECTURAL FEATURES, LARGE FIREPLACES, AND HARDWOOD FLOORS. THE OVERSIZED DEN AREA WHICH INCLUDES 2 FIREPLACES OPENS DIRECTLY INTO THE BRIGHT SUNROOM THAT OVERLOOKS INTO A SPACIOUS AND PRIVATE RETREAT WITH OUTDOOR FIREPLACE THAT IS MAINTAINED BY THE HOA. HUGE MASTER BEDROOM WITH SPA LIKE BATH! AMAZING CHEF INSPIRED ISLAND KITCHEN WITH SS APPLIANCES AND OVERSIZED SECONDARY BEDROOMS! YOUR NEW HOME HAS IT ALL! 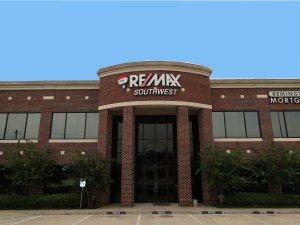 ALSO LOCATED IN THE HIGHLY ACCLAIMED CY-FAIR SCHOOL DISTRICT!